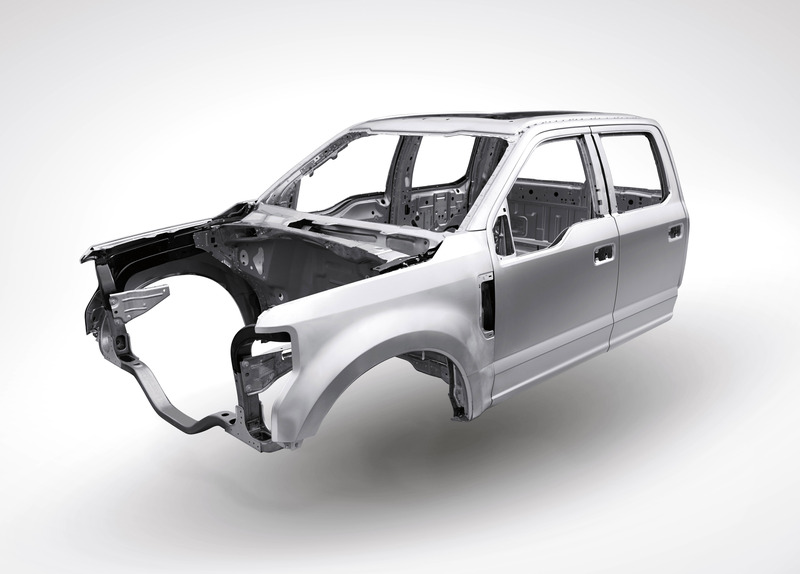 The automotive aluminum market is projected to grow from $47.91 billion in 2016 to $111.80 billion by 2026 at a compounded annual rate of 8.8 percent, according to a new report from markets-andmarkets.com. A significant portion of that growth is expected to arise from increased use of rolled aluminum for manufacturing car bodies with lightweighting being a major driver. An example is the aluminum-alloy body on Ford’s 2017 F-Series Super Duty trucks, shown here. Overall, according to the report, the North American region represented the largest share of the worldwide automotive-aluminum market in 2016 as the industry responds to CAFÉ requirements.